Welcome to Lunch Box Week here at Curry and Comfort. I decided to do this week of lunch box friendly foods because the new school year is around the corner. 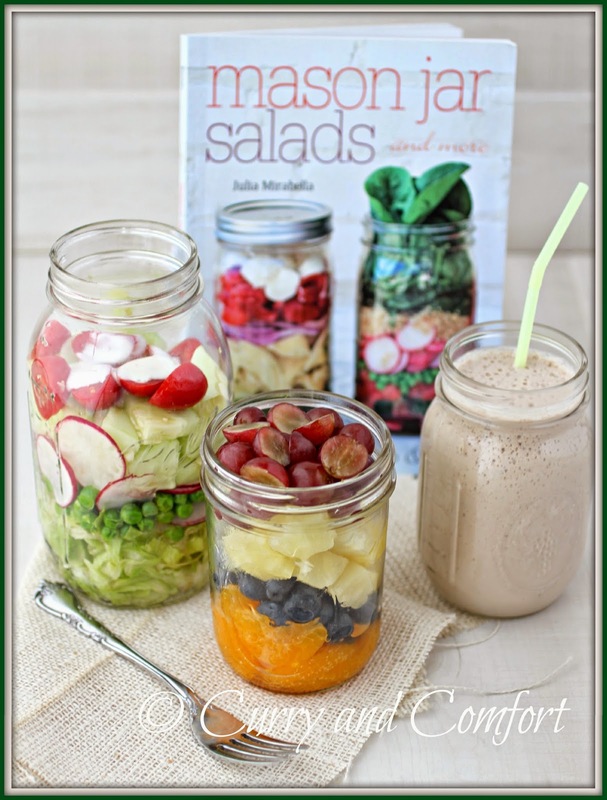 Today is all about Mason Jar Salads and more recipes. A mason jar makes a very cute and fun way of packing your teen's or even your own lunch for school or work. These layered salads with dressing included make it an all in one lunch and all you need is a fork to complete the meal. The prep work for these salads can be done the night before because the layering technique (with the dressing on the bottom) helps keep everything fresh and delicious. This fun and really useful book was written Julia Mirabella. she filled the book with wonderful photos for almost all the recipes so you know just want your creation will look like. It's not only about salads, there are great breakfasts, soups and pasta dishes as well... all served in the mason jar so they are very pretty and portable. 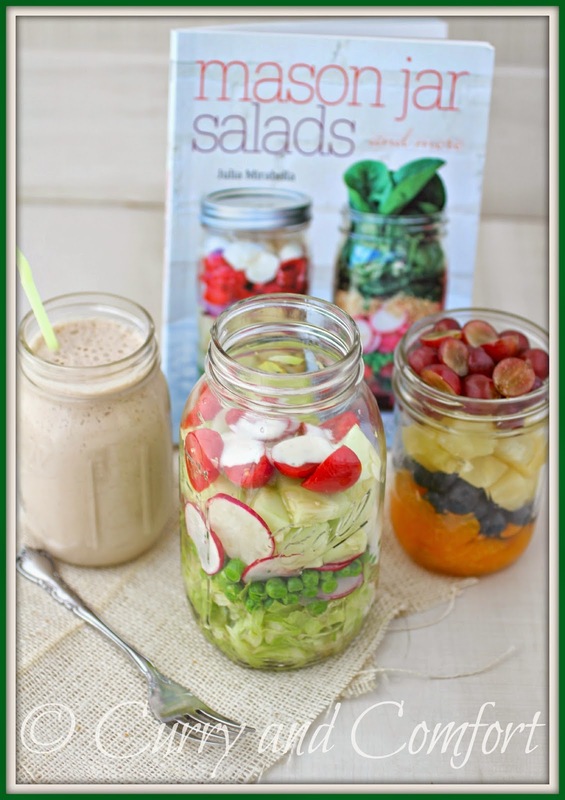 The book is also a great stepping stone to customizing your own salad creations. 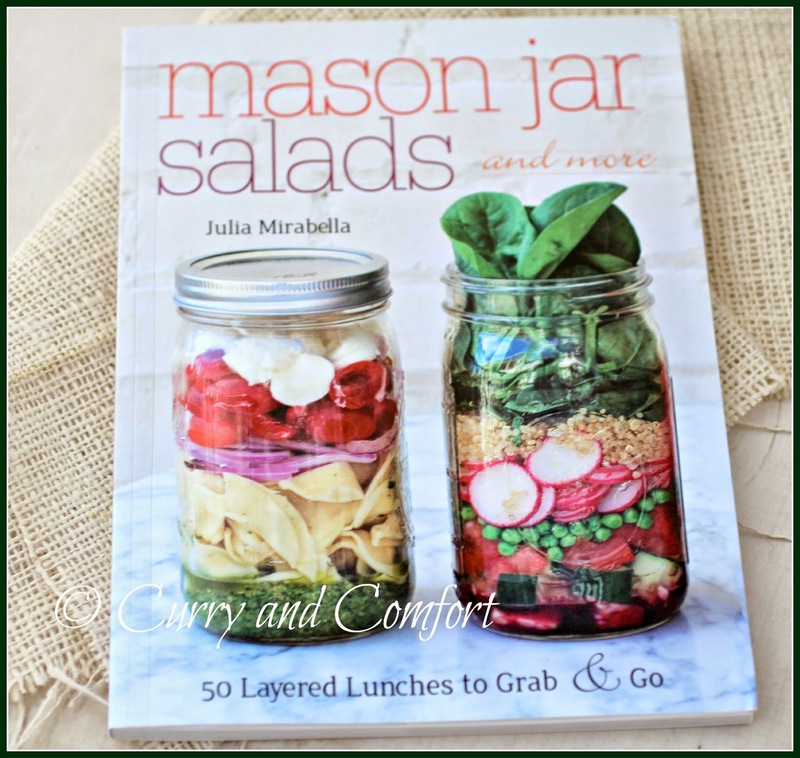 It gives you the building blocks, tips and tricks to help make any salad portable in a mason jar. This is a definite must have book for anyone who has to pack their lunch for school or work. You can check out the book HERE at amazon. Blend the smoothie ingredients together in a blender. Served chilled. Enjoy. 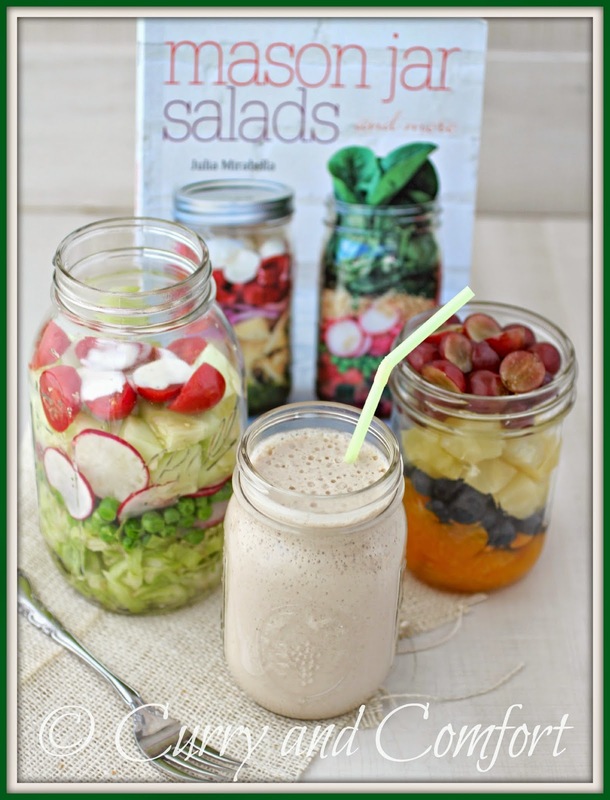 Salad in jars sounds fun. I would certainly grab the fruit one. I love doing this for work! Makes things so simple for me! Jar creations are so much fun and the portability factor is a definite plus. I'd love to have this book. I imagine these would be great for a picnic. There is a huge amount of profitable knowledge about various kinds of diet so then we can have a improved lifestyle and how to live a better life! Village Bakery has guided me a lot! Suggested to everyone!